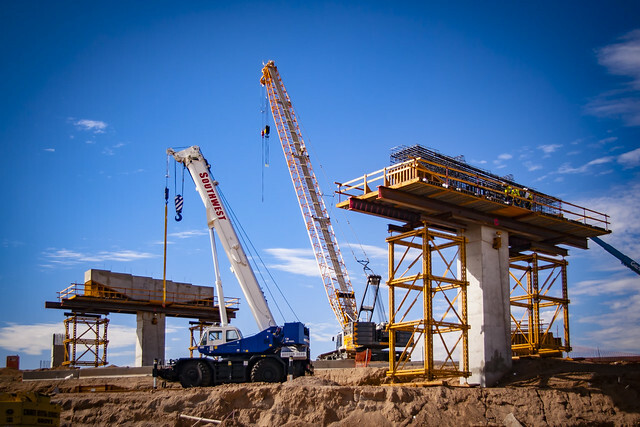 There's lots to see and lots going on at I-10 and 59th Avenue in west Phoenix, where an interchange under construction will link with the Loop 202 South Mountain Freeway. Because we hope you've been concentrating on the road – and slowing down – through the construction zone, we're sharing these videos and images highlighting progress to date. In the YouTube video at right, Kole Dea, ADOT's senior resident engineer overseeing the I-10 Papago segment of the South Mountain Freeway, explains the interchange work. We also offered a news release this week providing details. Last week, we shared how a support structure known as a straddle bent will be an important part of the interchange. There's so more to explore, and that's why we're sharing the slideshow below and embedding the two videos. We hope you'll enjoy the sights and sounds from this important project.